Who became the world's best football player. When her mother baked her a beautiful cake. There were eight sugar fairies playing under a tree. Was the one who was running and kicking a ball. Freya grabbed that fairy and swallowed her whole! Freya was struck by a bolt of lightening. And everyone said “How good and speedy! Found a ball and gave it a terrific kick. And landed in Arsenal's football ground. Arsene Wenger said “I must have that player. And soon she was in the first team at Arsenal. She was eight, and a girl, and was half their size. But Freya had the ball and then it was too late. Freya gave a kick and Hooray!, she scored. Her team was winning 50 nil. And every one of them left in tears. Till she played for England in the big World Cup. There was a minute to go and the score nil – nil. 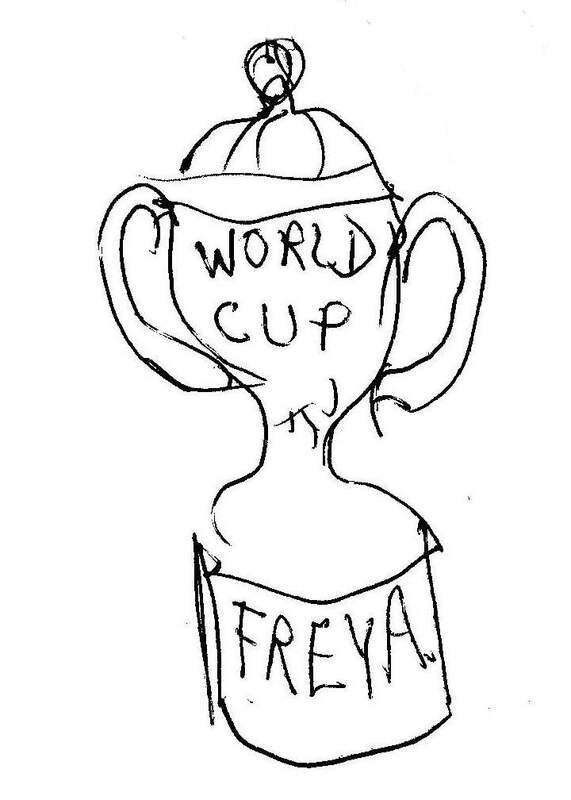 "Pass the ball, pass the ball, pass it to Freya!!" How she ran so fast we will never know. As she dribbled through the legs of every Brazilian. And it broke the net of the Brazilian goal. As she took the World Cup from the Queen. And she rode at the front of an open-topped bus. 'Cos she is the world's best football player.